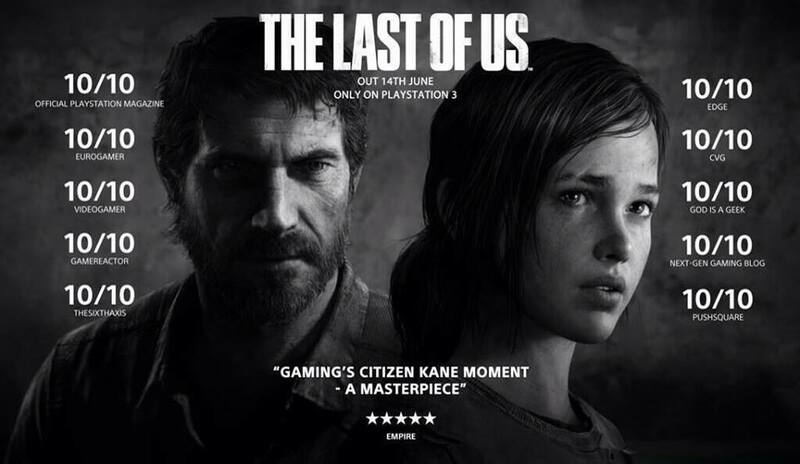 The Last of Us, a Sony exclusive video game set in a post apocalyptic world teaming with zombies and unsavory humans, has been receiving a ton of press in the gaming community since its media embargo dropped earlier this week and the reviews hit the internet. The game has almost unanimously been proclaimed as one of, if not the best, games this year, and even received a few comments referring to it as the best game of the PS3/Xbox 360 console generation. Even though the game is a PS3 exclusive, Xbox Live’s “Marjor Nelson” even commented on Twitter about the game, giving Naughty Dog a nod for making a “solid game”. At the moment the game stands with a Metacritic score of 96, higher than any other game that’s hit the shelves this year. The reviews for The Last of Us are all over the place. To read or watch one, simply Google “The Last of Us review” and you’ll find plenty of positivity. The game already had a ton of hype, but now it’s hit an all-time high – arguably shadowing Bioshock Infinite’s hype earlier this year. The game will be released on June 14th. Until then, us average Joes will have to be satisfied with the spotty bits of gameplay footage floating around the internet.